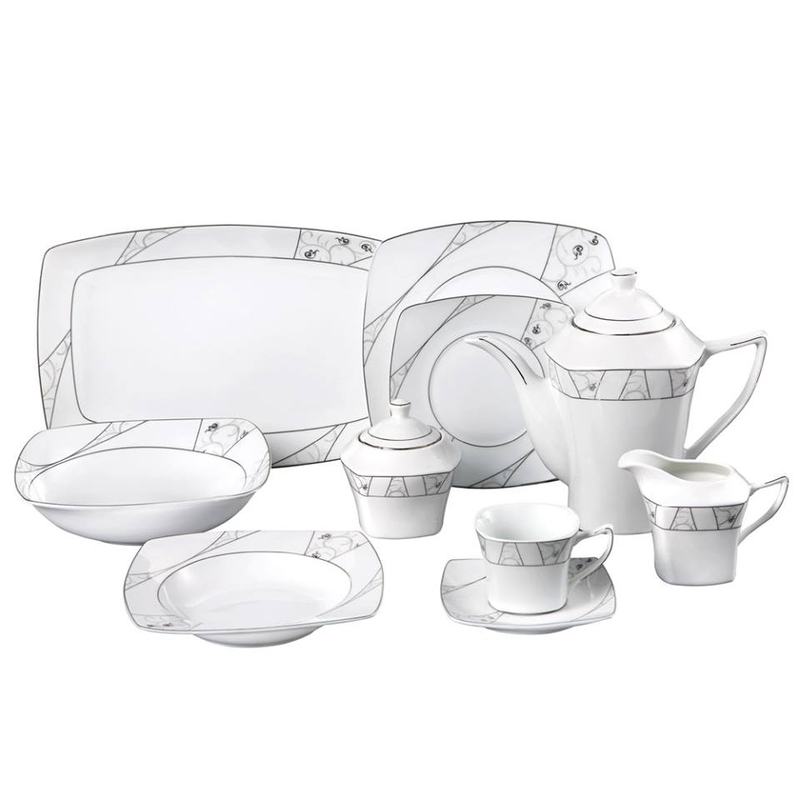 47 Piece Silver Border Bright White Square Porcelain Dinnerware set, service for 8. Durable porcelain great for everyday use of fine and elegant enough for special occasions. Modern edge border design. This set comes complete with everything you need to set your table including serving pieces. Set Includes: 8-10.5" Dinner Plates, 8-Soup Bowl, 8-Salad/bread and butter dishes, 8-Tea Cups, 8-Tea Saucers, 1-14" Oval Platter, 1-9" Serving Bowl, 1-Teapot with lid, 1-Creamer, and 1-Sugar Bowl with lid. Dishwasher safe, delicate cycle.